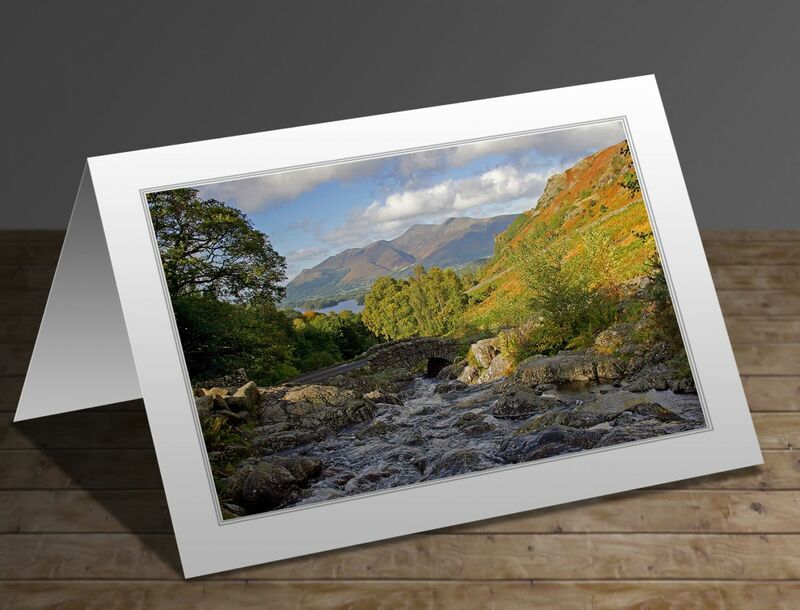 The write-up on the reverse of this greeting card will be 'Ashness Bridge is one of the Lake District’s most iconic views. It’s a very busy spot being just off the Borrowdale road so close to Keswick. It seems to me that the place is nearly always in shadow. When it’s not, there are so many people either on or around the bridge that you have to be very patient to get a shot in. Anyway, patient I was, and sure enough my time came along and the result is the image that you see here'.